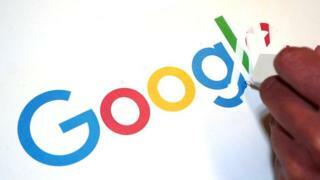 A senior adviser to the European Court of Justice (ECJ) has backed Google’s legal bid to limit individuals’ “right to be forgotten” to searches in Europe. Google sought to limit the law’s scope, after France asked for it to be extended globally. The law lets people ask Google to remove information deemed “inaccurate, inadequate, irrelevant or excessive” from its search engine. ECJ rulings typically follow the adviser’s decision. In his official statement, Advocate General Maciej Szpunar said searches carried out in nations outside the EU should not be affected by the “right to be forgotten”. “The fundamental right to be forgotten must be balanced against other fundamental rights, such as the right to data protection and the right to privacy, as well as the legitimate public interest in accessing the information sought,” he said. What is the ‘right to be forgotten’? The call for the ECJ to decide about the law’s reach grew out of a 2016 clash between Google and the French data regulator CNIL. In its court statements, Google argued that extending the law could help “less democratic” regimes use it as a tool for censorship.